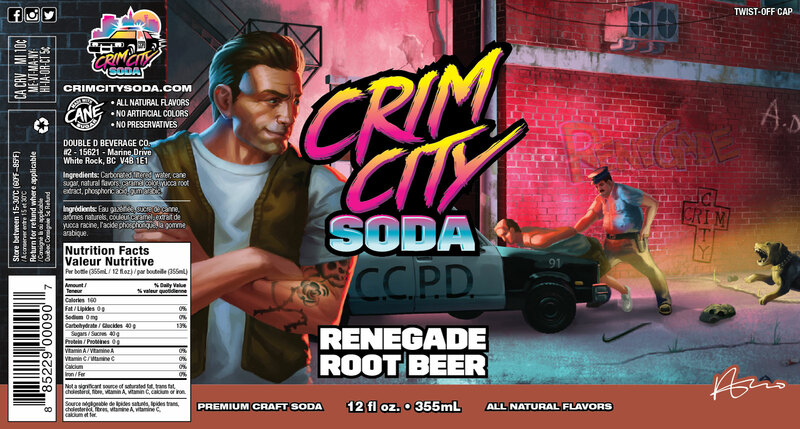 A complete brand creation and product launch project for Crim City Craft Soda, a premium craft soda with a young target audience. The Craft Soda Branding project Ripley Studios lead for Crim City Soda generated a massive departure from the expected. 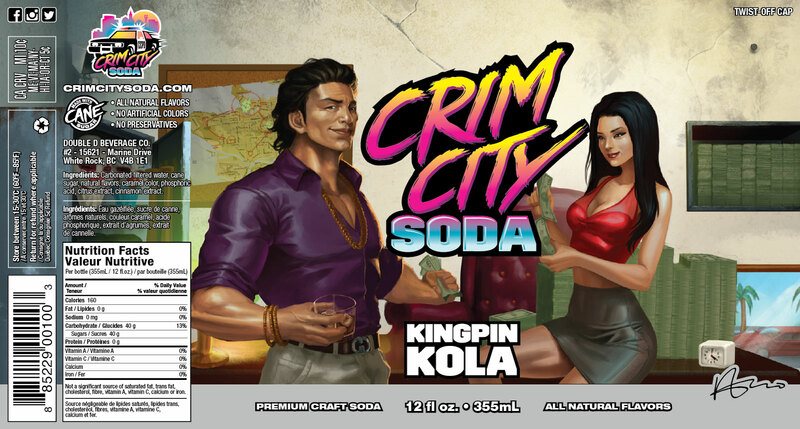 Featuring unique characters and vivid graphics, Ripley Studios and DD Beverage created a brand as interesting and flavorful as the soda itself. 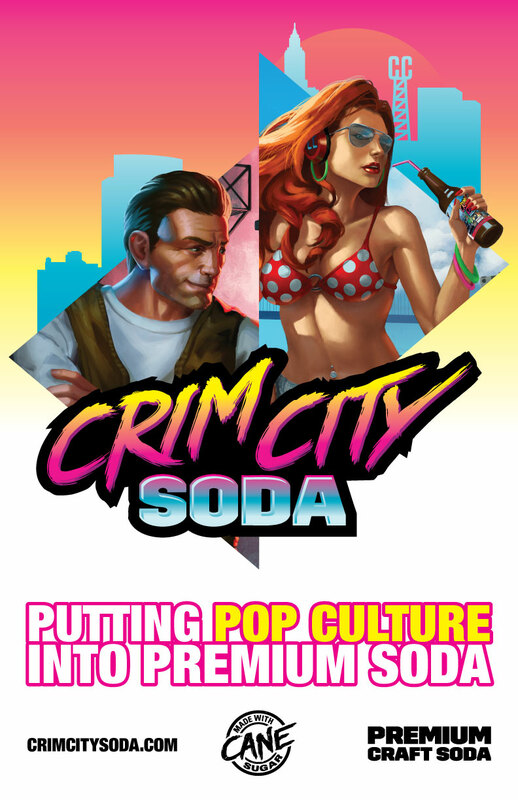 That’s saying something, since Crim City’s great taste comes from natural ingredients like real cane sugar. 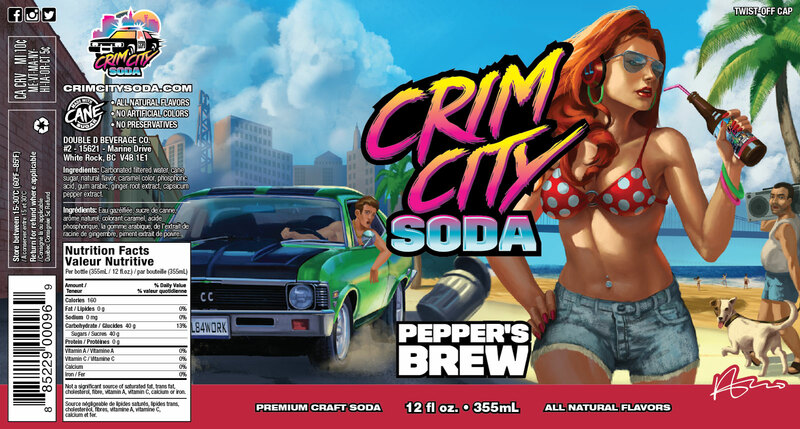 Inspired by video games, comic books, and all things pop culture, this ‘modern retro’ craft soda captivates consumers whether they’re young, or only young at heart. British Columbia-based DD Beverage Co. noticed a lack of representation for young audiences in the craft soda market, and saw a great opportunity to bring a new product to life. 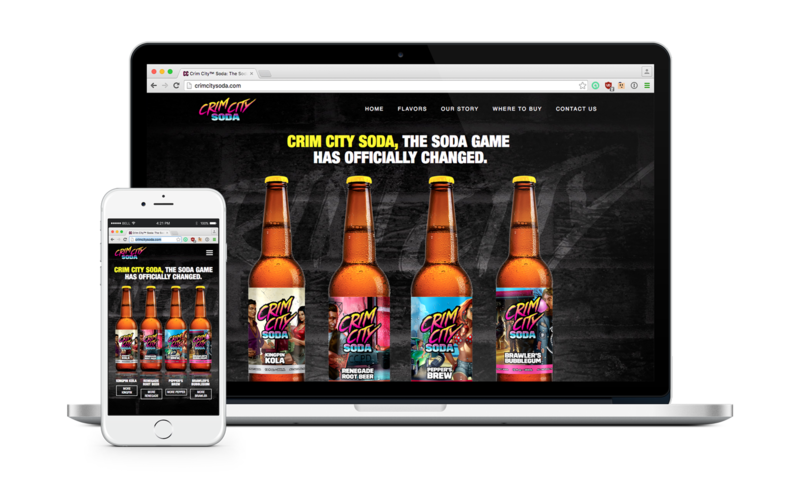 The 11 year old beverage maker, most well known for creating the popular Beaver Buzz Energy drink, turned to Ripley Studios to execute their vision. The craft soda brand we created is vivid and engaging, infused with pop culture, and inspired by everything from video games to retro 80’s TV shows. While the target audience is young, DD Beverage did not skimp on using quality ingredients. Real cane sugar, all natural flavors, zero preservatives, and great-tasting flavors make Crim City Soda a genuinely premium craft soda product in every way. To create a more engaging brand experience, we turned to Vancouver-based illustrator David Kuo. 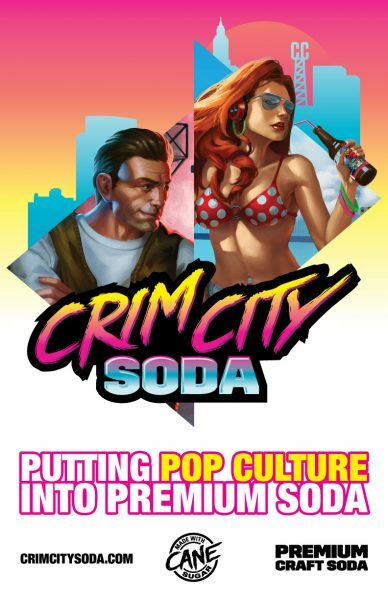 Having worked on a number major of video game titles, including Sleeping Dogs, Saints Row III, and Resident Evil: Operation Raccoon City, he was a natural fit for a brand inspired by pop culture and video games. The artwork David created for the project is phenomenal, and it’s a big part of why this brand is so successful. 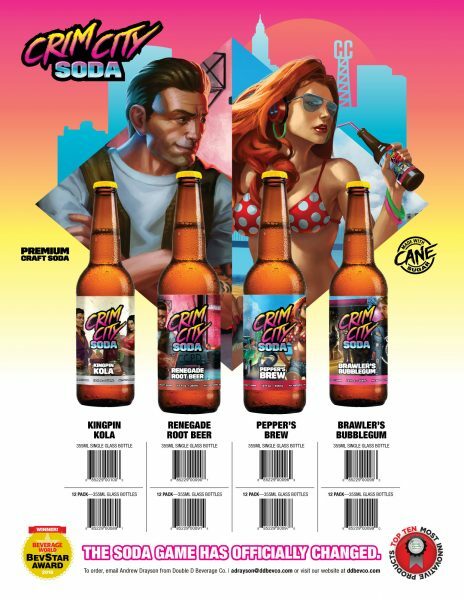 Each Crim City Soda flavor is represented by a key character, and each label tells that character’s story, making each flavor is it’s own unique and interesting branded experience. 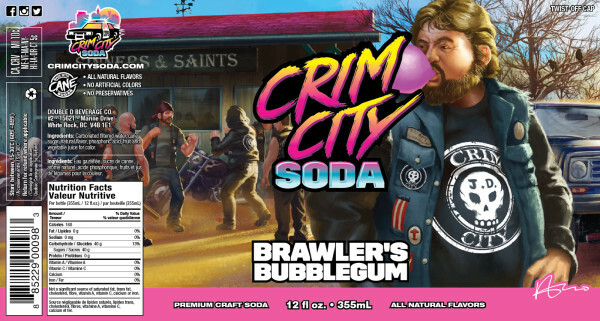 The Crim City craft soda labels feature the brand’s unique artwork and logo. The artwork on each bottle spans the entire length of the label, with main characters and major details featured on the front of the label, and story-oriented content on the sides and reverse of the label. 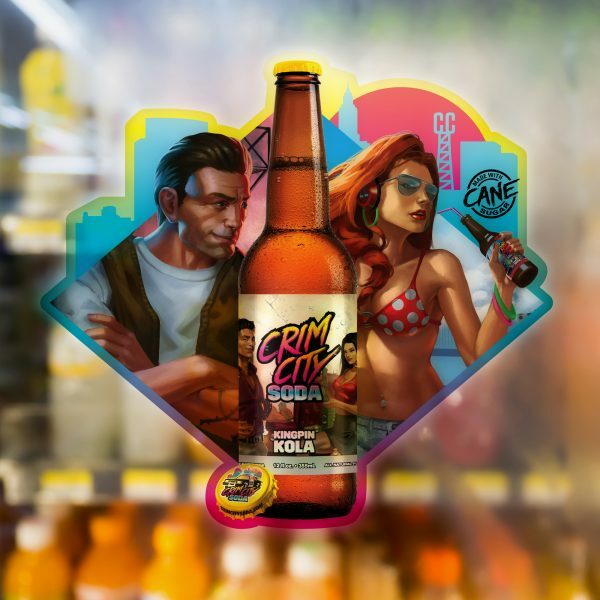 Each flavor can be rotated around to see that bottle’s unique scene and story. 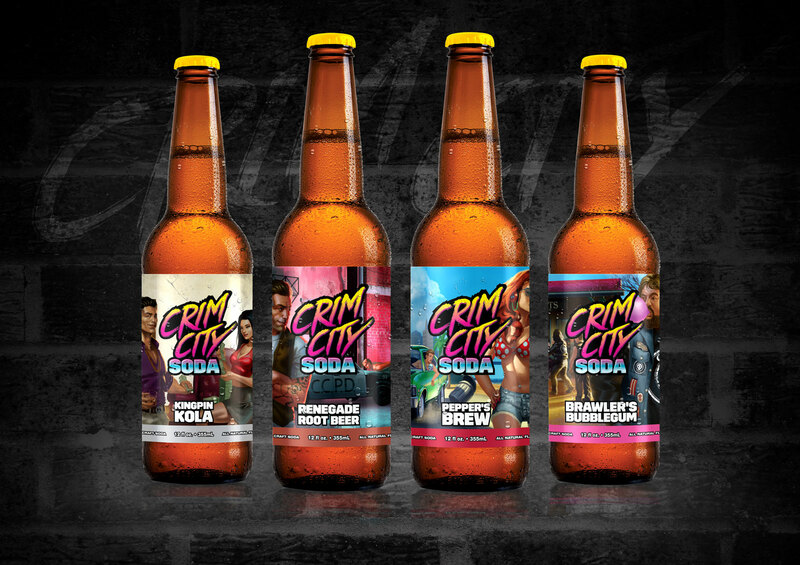 The Crim City website is designed to provide a great user experience, again by featuring the brand’s unique artwork to tell the story of each flavor of soda. A single page design, all relevant information is contained on the front, scrollable page. Ripley Studios handled the design and development of the fully responsive website, which looks great on any sized screen.